I'm Susie, a chocoholic, crochet addict and cat lover, and the SJ in SJ Language Services. I'm a native English speaker from Gloucestershire (UK), and split my time between there and Aguascalientes (Mexico). I graduated with a BA in Portuguese and Spanish (first class) from the University of Nottingham in 2013 and started to do some freelance translation and editing work shortly after. Having made the decision to go full time as a freelancer, I launched SJ Language Services in December 2015 and I haven't looked back! 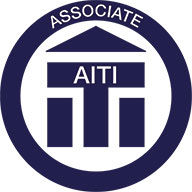 I am currently an Associate member of the Institute of Translation and Interpreting, the professional body for the industry in the UK. It's really important to me to stay up to date with developments in the translation industry and my specialist areas. I therefore regularly attend webinars and read publications as part of my plan for Continuing Professional Development. You can read more information about my qualifications, accreditation and recent CPD on my LinkedIn profile. I learn quickly and work hard, meaning that efficiency is something my clients frequently cite as being one of my best qualities. I'm also professional and approachable, and a bit of a perfectionist. Apart from using languages, the part of my work that I enjoy the most is building relationships with my clients. It's very important that you're happy with the work I do for you, so I believe that clear communication is key. I always try to respond quickly and ask questions to make sure I've understood your requirements. You'll see these qualities reflected in the testimonials I've received from previous clients. As is the norm within the translation industry, I only work into my native language (English). While I have multiple source languages (Spanish, Portuguese and French), I do not translate into these languages. If your project requires translation into other languages you might like to consider my project management service. This involves me finding qualified translators for your project and managing the whole process for you. In addition to more general editing and proofreading, I specialise in copy editing and proofreading for academic papers, as well as offering reference checks and a manuscript preparation service. The majority of my experience in this area has been in the social sciences, although I can work in other fields if required. Although I usually work alone, there are times when the size or demands of a project require input from others. I have a team of great translators and editors who I can call on to help me in situations like these, and I always review the finished text for accuracy and consistency before sending it to you. Why should you hire SJ Language Services? You may work with translators and editors all the time or you may never have had to think about these processes before. Either way, chances are you've got other things you'd rather be doing with your time. My aim is to make the process as effortless and stress-free for you as possible. I'll ask relevant questions but won't bother you unnecessarily, I'll respond promptly to all communication and I'll provide you with a final text which perfectly suits your needs. Do I sound like someone you could work with? If so then request a quotation, send me an email or give me a call to discuss your project. I'm looking forward to hearing from you!